There are several museums inside the palace, the most famous ones being the Royal Pharmacy and the Royal Armory. 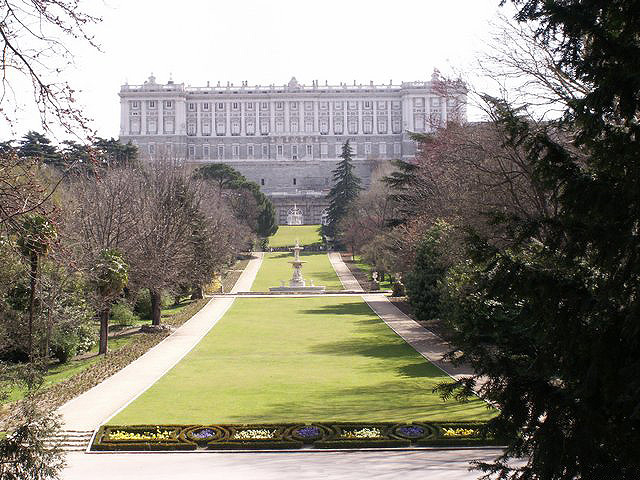 There are also several gardens around the palace where you can spend time and admire more artworks, such as the statues in Plaza de Oriente. You can get to the Royal Palace using the metro and traveling until Opera station. The palace is only partially open to public, in its museum areas. There are times when the palace is closed, namely the days when official business takes place here. You can visit the museum daily between 10 AM and 6 PM during wintertime and between 10 AM and 8 PM during summertime. If you are not a resident of the Iberian Peninsula, you will have to pay an admission fee of EUR 11.